This fall Halloween Time returns to the Disneyland Resort on September 12 and includes 14 nights of Mickey’s Halloween Party. The spooky fun runs through October 31. 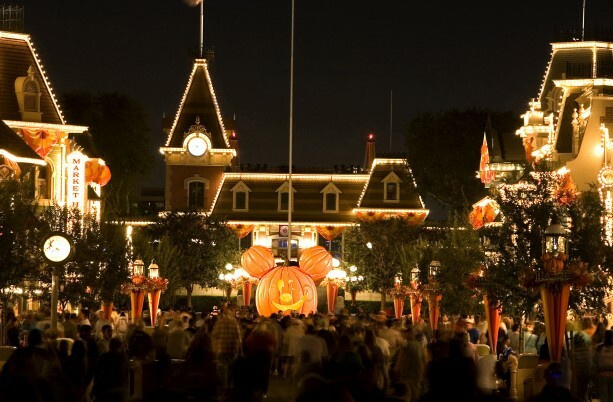 Disneyland’s Halloween Time includes the Haunted Mansion Holiday and Space Mountain Ghost Galaxy, in addition to Disney villains, costumed characters, and the Dia de los Meurtos celebration. Mickey’s Halloween Party is a separate, after-hours ticketed event. The dates for the party are: September 26 and 30; and October 3, 6, 8, 10, 14, 17, 20, 22, 24, 27, 29, and 31. Disneyland Resort Annual Passholders, Disney Rewards Visa card holders, and Disney Vacation Club members can purchase their tickets beginning July 16. Tickets for Mickey’s Halloween Party go on sale to the general public on July 30.